With our new location at the Kohala Village Inn in Hawi, on the northern tip of the Big Island, even we didn’t know what to expect last year. 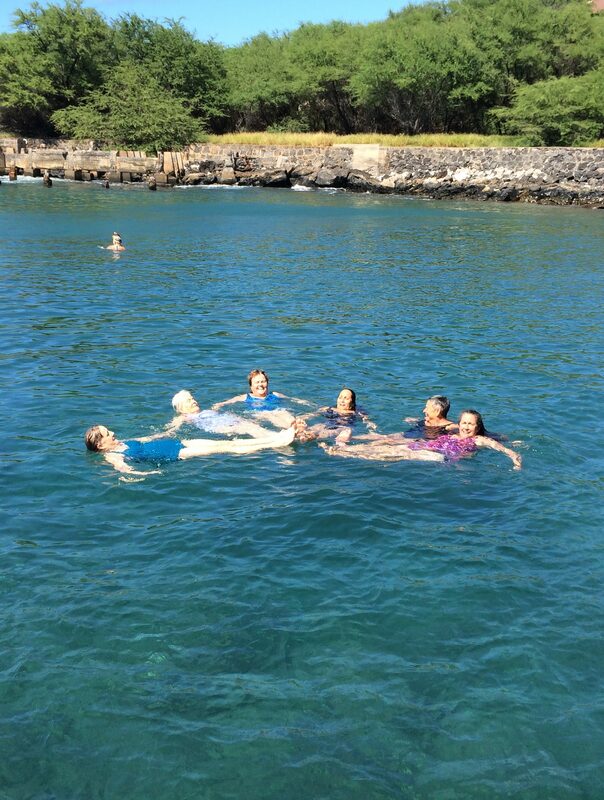 But within a day or two we had settled into a lovely routine that enhanced our ukulele immersion experience, far from the maddening crowds, taking every advantage of where we were, with all our earthly needs attended to. This, indeed, was paradise. Here’s what a typical day might look like for you, should you decide to join us at the Hawai’i Island ‘Ukulele Retreat. 6:30am – Wake as the rising sun fills the sky with color and the birds begin their cheerful morning chatter in the trees outside your window. 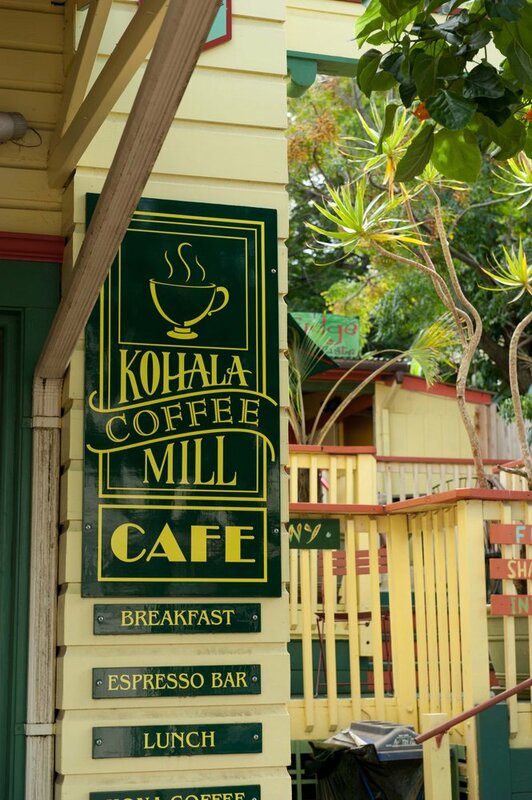 If you’re so inclined, you can take a little stroll down to the Kohala Coffee Mill, just a short block away, and order a cappuccino or an iced Americano to sip on the patio out front, read the local paper, visit with your pals, and watch the sleepy little town of Hawi come to life in front of you. 8:00am – Yum. Breakfast back at the Kohala Village Inn. 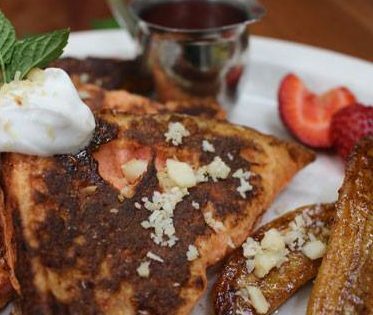 Every meal is a feast for your eyes (and your tummy) and made with the best locally sourced ingredients, and fresh, just for us. 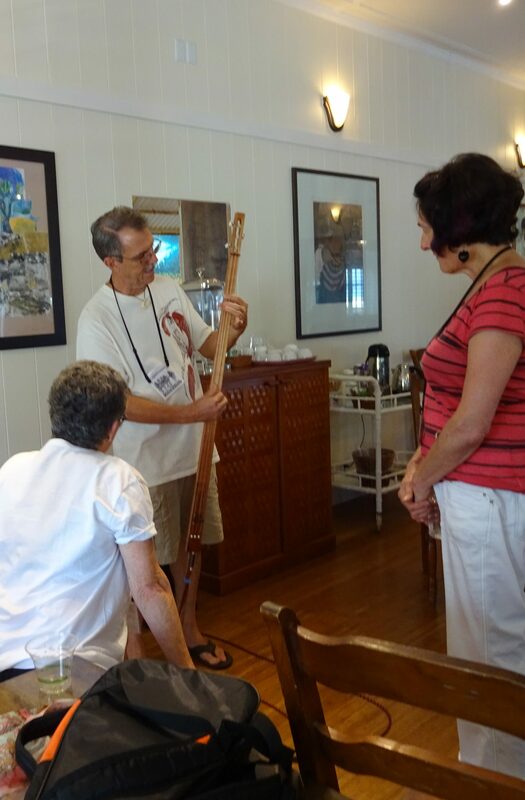 9:15am – Time for the first ukulele workshop of the day, an opportunity to meet with the same instructor and a group of fellow students at the same level as you (Levels 1 – 4) throughout the retreat. Together you will work through a series of skills and techniques that you will need to advance to the next level of play and emerge a much better player. The small class size and our dedicated teachers ensure that the class progresses at everyone’s pace. And if, for some reason, the class isn’t right for you, you can always switch to another. 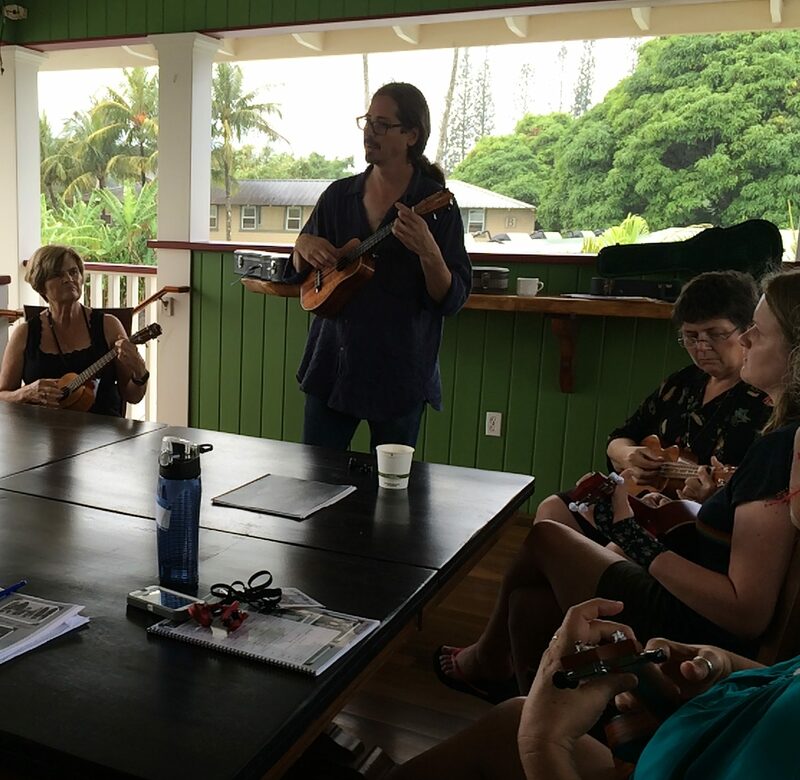 10:45am – After a brief 15 minute break, it’s time for another ukulele workshop or you can sit this one out and join Robyn for hula lessons or KonaBob for a little Hawaiian Lap Steel instruction. And don’t forget the value of practice. You don’t have to jam something into every hour of every day. A little down time is good, as is a little time to practice what you just learned. 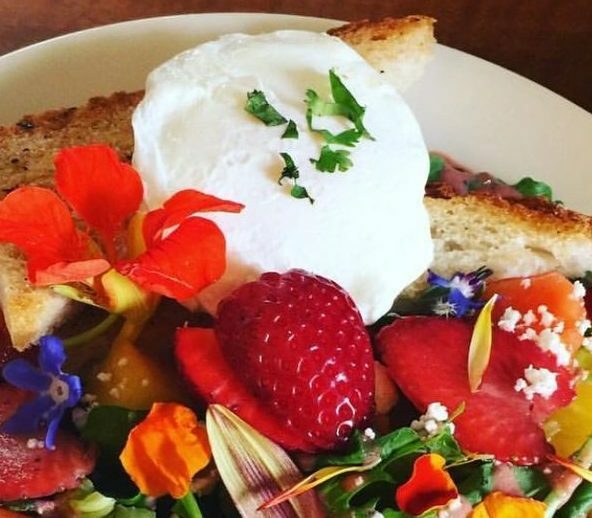 Noon – Lunch-time and another fabulous meal at the Kohala Village Inn. Served buffet-style you can pick and choose and eat as much or as little as you want. And if you have any dietary restrictions, don’t worry, you’ll be taken care of. Every meal is another welcome adventure. After lunch – There’s a little time to relax, explore the town, or jump into a car and head down to Mahukona Beach Park, which is not technically a “beach” (there is no sand or crashing surf), but it’s a great place to jump off the dock or climb down the ladder and go for a swim in your very own aquarium. And don’t forget your snorkel gear! There will be tropical fish by the hundreds swimming with you in the crystal clear water! This can become a daily ritual, or a once in a lifetime treat. 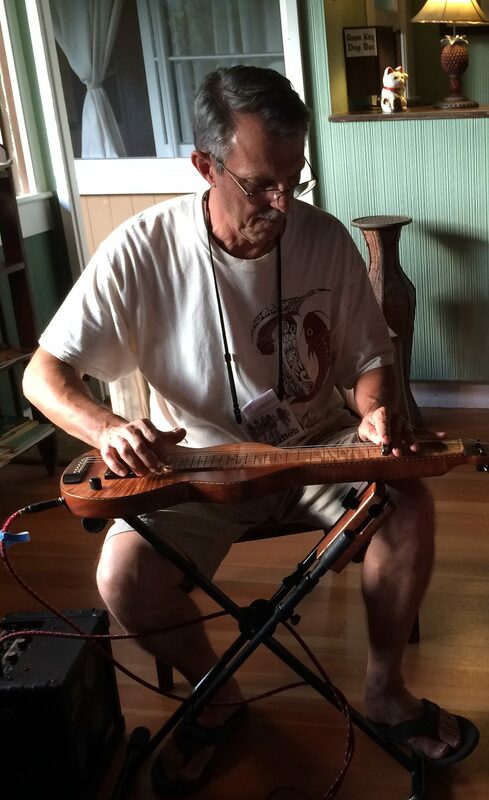 1:30pm – The third session of the day lets you to pick and choose from a number of ukulele workshops offered by our illustrious staff, or (new this year) you can choose to join Del Rey’s “Memphis Blues Party” and jam the way they used to on the back porch down South. Or, if you’re hankering to learn how to “bring up the bottom,” join KonaBob and Dave Egan and learn all about that bass, stick-style or U-bass style. 3:00pm – Band Practice! The high point of the day for many of our attendees. This is when you’ll get together with your band mates (arbitrarily assigned) and put together a number (original or otherwise–costumes encouraged) to perform for the last night of the retreat. It’s a time to step outside your comfort zone and step up to the plate and work with your band to create something memorable or try something you have never tried before, or just sit back and have some fun with your ‘ukulele. 4:30pm – This is where things get interesting. 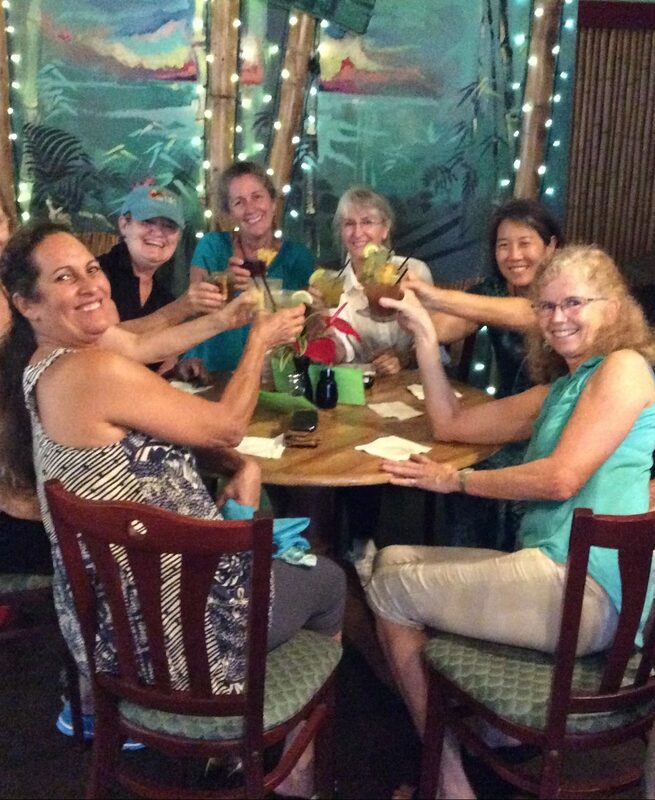 You can join Dave Egan for a little “woodshedding” (again, new for this year) or, depending on the night of the week, you can stroll into town and check out happy hour at Bamboo and try one of their world-famous lilikoi mai tais before dinner. On another evening, we will all be piling into cars and heading down to Kapa’a Beach Park for a fabulous ukulele beach barbecue accompanied by authentic, live Hawaiian music as the sun sets slowly in the West. 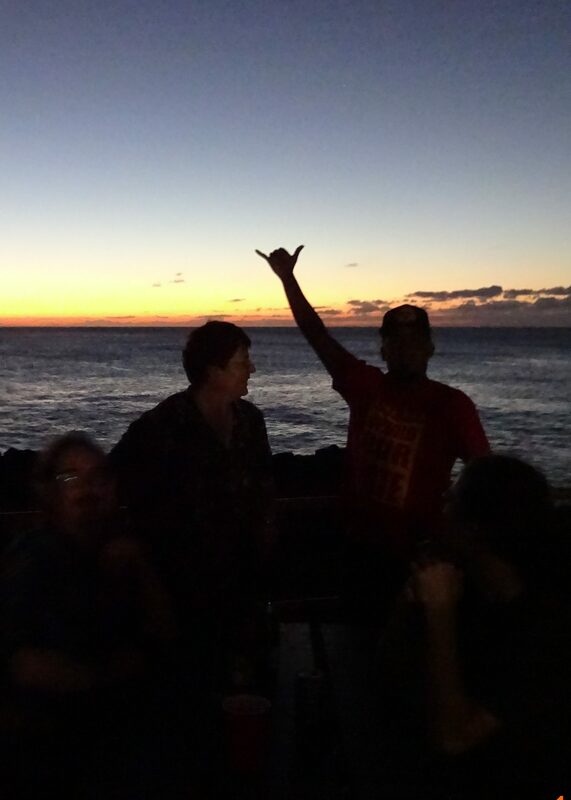 On a different evening we will be getting dressed up to go to the Blue Dragon in Kawaihai for slightly more formal music and an elegant and delicious dinner. It’s all good. No, it’s better than good. Way better. And by the time the sun has set on the horizon, everyone is ready for bed. 9:30pm – Well, not everyone. If you’re still feeling a little restless you can follow the lovely melodies and find the folks (including instructors) who just can’t make themselves stop making music. These are the ones who would jam all night if they could. They are your new best friends and will help create some of the most beautiful and lasting memories to take home with you when the retreat is over. 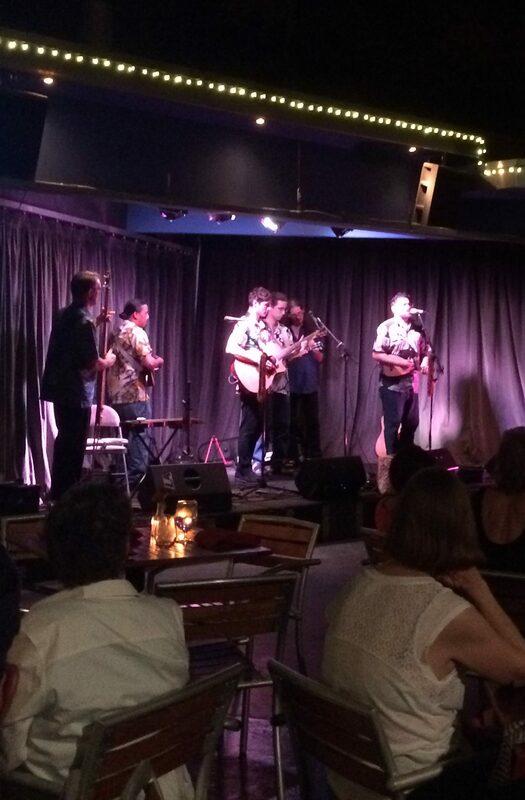 What better place could there be to take your ‘ukulele and learn and grow as a musician than beautiful Hawai’i? And what better way than total immersion with a limited group of like-minded people and a handful of fabulous instructors? Be sure to visit our website for more information. We are thrilled, delighted, and honored to welcome Robyn Mahealani Kneubuhl to the staff of the 2014 Hawai’i Island Ukulele Retreat, October 20 -26, 2014. An accomplished musician and dancer (and adored by her students), she has a musical lineage that goes way back. Her mother, Emma Veary, was a headliner at the Monarch Room of the Royal Hawaiian Hotel, the Halekulani, the Hilton Hawaiian Village, and frequent a frequent guest star on the original “Hawai`i Five-O.” Her mother’s musical gifts were not wasted on Robyn, who embodies the beauty of the golden days of Waikiki through her music and dance. Robyn is a life-long stu dent of Hawaiian arts and culture, a composer, hula and `ukulele instructor, generous with her time and talent, and eager to share her knowledge with her students. Robyn currently resides on Maui and is one third of the “Hula Honeys” who have three CD’s out: Life Just Got Sweeter, Girl Talk, and A Hui Hou. Robyn has taught hula and `ukulele for Lark Camp and Keola Beamer’s Aloha Music Camps and has joined us several times at Wine Country ‘Ukulele Festival. 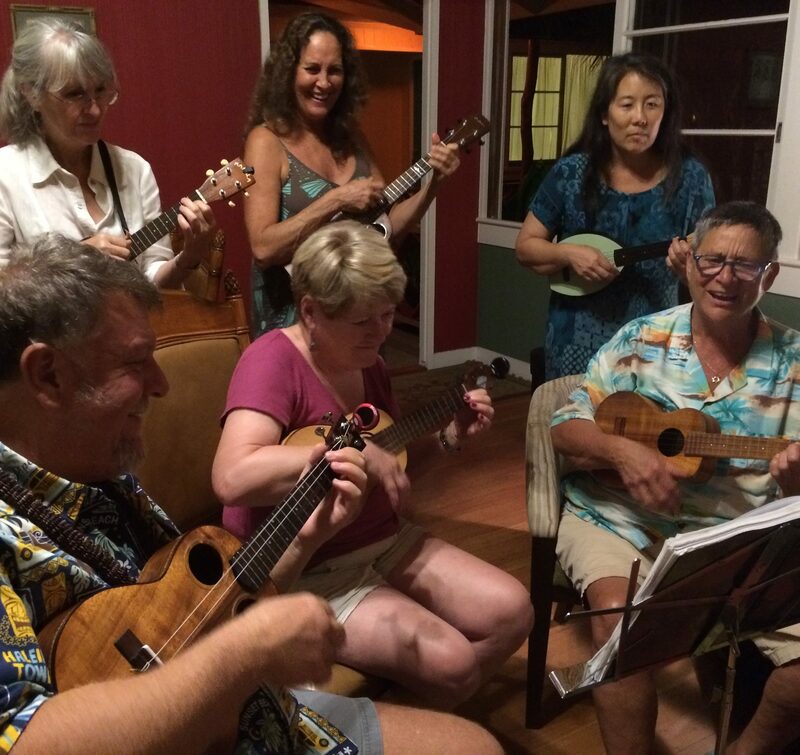 It only seems natural to have her us join us on Hawai’i Island in October, for the Hawai’i Island Ukulele Retreat. 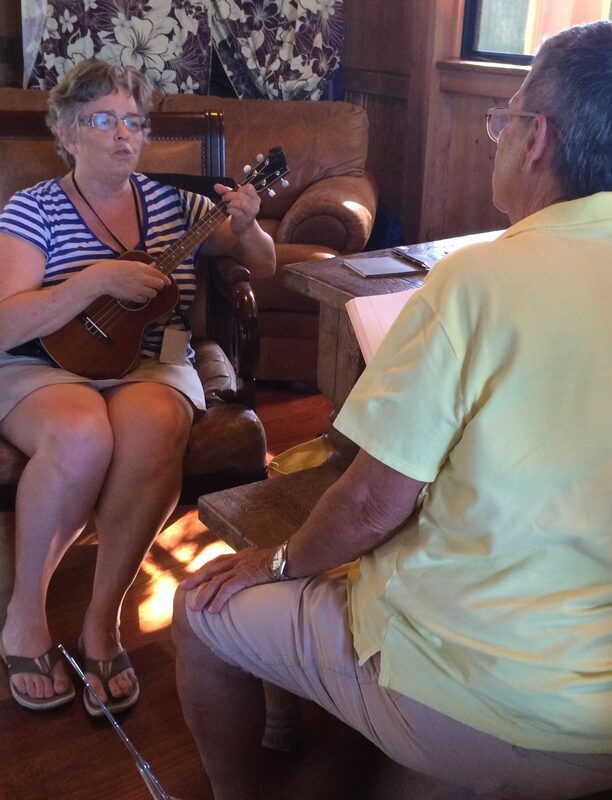 Registration for the Hawai’i Island Ukulele Retreat is now open and all lodging categories are still available. But you should act fast to make sure you get all the options you want.